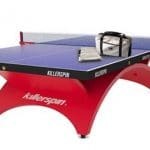 One of the main reasons people consider buying a table tennis robot is because of how effective it is. When you are practicing to improve your skills, there are certain limitations you will encounter eventually, like a suitable partner to keep up with your rhythm. 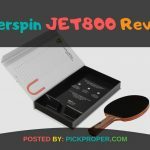 The best table tennis robot ensures you have a quality companion for your workout. Naturally, a robot never gets tired which ensures you have a reliable source of power and energy. To help you during training, we have products like the Paddle Palace H2W Touch Pro. This robot is capable of accomplishing many things. During this read, we are going to go through what this product has to offer for every type of player. 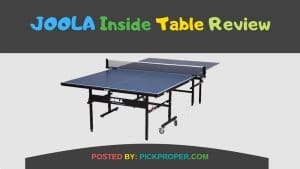 When we talk about a powerful table tennis robot, there is no better option than this one. It features everything that a player requires making it an ideal pick for both professionals and amateurs. Undoubtedly, this machine is effective enough to assist professional players. We can easily tell because all of its incredible features have the purpose of providing an intense performance. Everything this robot accomplishes has the sole purpose of producing highly intense workout sessions for professionals. As an example, we have all the different types of balls it launches at us. Whether it is short, long, strong, weak, high or low, this machine provides efficiency. In order to reach its optimum performance, it includes an LCD Touch Screen. Through this screen, the user has the capacity to make adjustments and program the robot to have a suitable routine. It is an important feature that makes the robot ten times easier to use for everyone. Additionally, it features a spin indicator panel as well. You can find it below the shooting area, and it gives you a clear sight at the spin for the next ball before it shoots. Because of this spin indicator panel, playing with the robot feels even better. 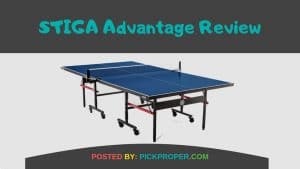 There is no denying that the Paddle Palace is one of the best table tennis robots currently available. Its success lies on the many benefits it provides for professionals, amateurs and even beginners. We are living in a modern era where you have easy technological access to everything. This robot is not the exception to this rule. In order to provide a more effective machine, this product features innovative technology that other robots cannot match. By doing this, it gives the players the option to control it very easily, and without requiring too much effort at all. This achievement is possible because of its LCD Touch Screen system. 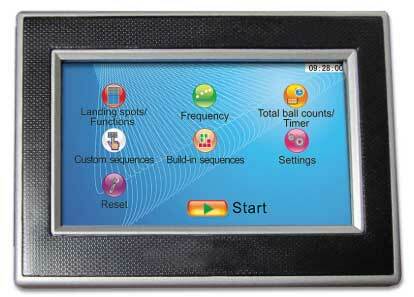 Through the touch screen, the user will have the possibility to program the robot in the most suitable way. More so, the touch interface is very user-friendly which makes it possible for both professionals and amateurs to use it correctly. It allows you to customize the settings and spins to adapt to your training sessions. This benefit along with the option to customize the landing spots provide us with a machine capable of knowing what we want. The robot’s flexibility also makes it a suitable companion for both professionals and amateurs. With the proper customization, it won’t take long before you notice how effective it is to increase your skills. Another requirement this machine achieves is in diversity. The Paddle Palace H2W offers the option to use different types of balls. It works with small and big balls, which are shot at different speeds and at different heights. Whatever you feel like using during the day, this product efficiently obliges. It includes a net collection system to reduce the time you spend setting it up again. On top of that, the machine takes full advantage of its system for ball recycling too. This makes training way much easier. These two systems are easy to activate, and they allow the players to have more time practicing and less time doing adjustments. All of these benefits make this product an outstanding choice to buy. It truly overshadows most of the competition on the market. The robot’s biggest disadvantage is its price. Surely, you will get a machine resourceful enough to assist you during your training, but its high cost makes it unreachable to some budgets. Now, this price is a frustrating disadvantage because many people will not have access to an awesome machine. Professionals might have that extra motivation to make the investment, but players with less interest don’t have the same approach. It is harder for people to make an investment on a machine when there aren’t any professional stakes at it. 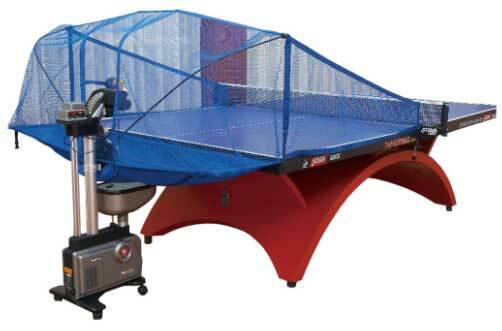 Because of this, plenty of people are leaving out what we consider is one of the best table tennis robots. Another disadvantage is the robot’s weight. Of course, you can see this from two different perspectives. We have to keep in mind that Paddle Palace H2W is standing still a robot. It works that way, and nothing can change this fact. That is where this robot shines the most when you have it at a specific location to assist you every time. If you decide to move it, you will quickly find out why transportation is not recommendable. You could get it from point A to point B, sure, but the best advice we can give you is to not do that at all. Place it at a single location and keep it there. Set it up, make the proper adjustments to the room and you will have a highly effective robot. It will allow you to enjoy all of its features without complications. As you can tell, these disadvantages do not ruin the robot’s functioning capacity. Instead, if you handle it precisely, you’ll find out why this is an optimum machine with no match on the market. 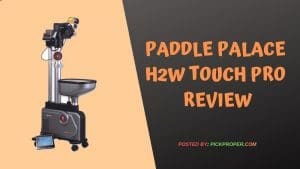 The Paddle Palace H2W Touch Pro Review has given us two important details we have to keep in mind before buying this product. First, it is a robot that performs incredibly well. There are not many options on the market that can match what this machine does. Secondly, while amateurs and beginners can use it to their advantage, it is a robot with the purpose of serving as a professional level. Consider those two pieces of information before making your decision.